Everyone loves Spider-Man. 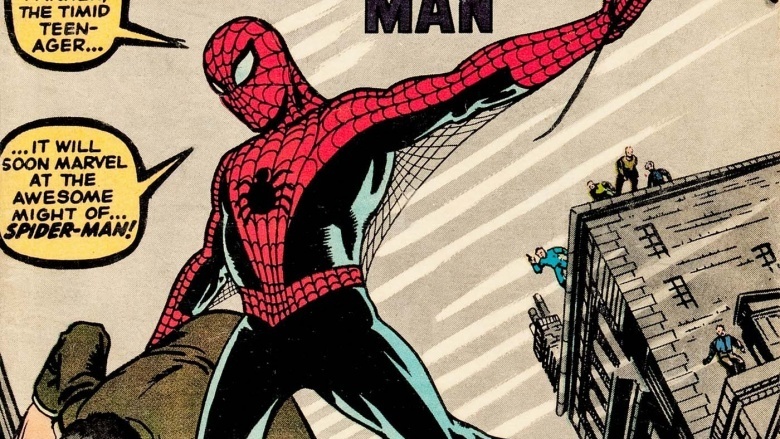 For more than 50 years, this Marvel Comics mainstay has always been an easily identifiable regular guy at heart—albeit one who just happens to have amazing superpowers. 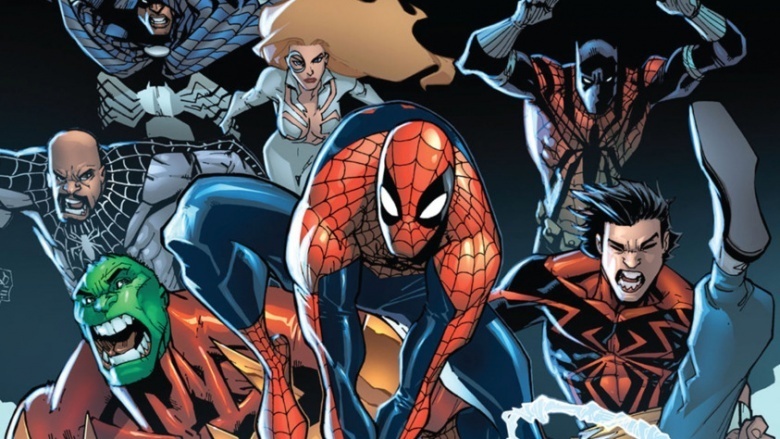 Unfortunately, none of those abilities are enough to solve many of life's bigger problems, and Spidey's secret existence as Peter Parker is a perfect example of a life gone astoundingly weird. 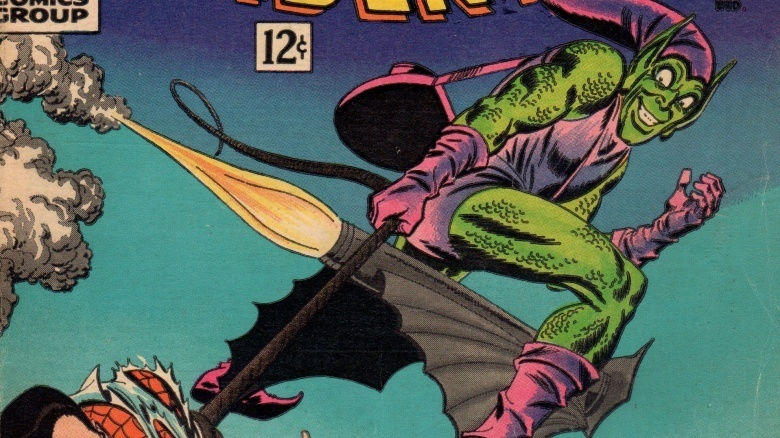 Here are a few of the more unusual moments from the wall-crawler's epic crimefighting career. The story of Peter Parker's transition into Spider-Man is common knowledge by now: a nerdy teenager visits a museum with criminally lax lab security and is bitten by a radioactive spider. Because it's the '60s, Parker doesn't immediately sue the museum, but instead wakes up with sticky fingers, super-agility, and precognition. 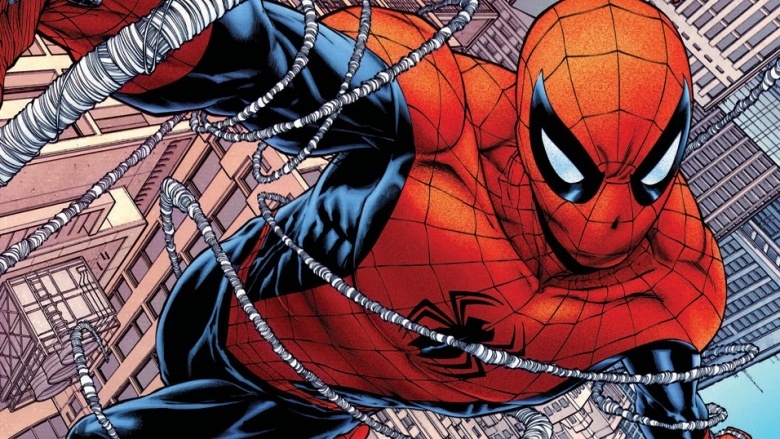 Even though these aren't exactly all qualities that spiders are known for, Parker sews himself up a spidery costume and decides to fight crime as Spider-Man—but only after a moment of arrogant negligence leads to the death of his uncle Ben, leaving his Aunt May a widow. It's a sobering lesson that taught Peter with great power comes great responsibility—something he's never forgotten. Peter maintains a regular life as best he can, eventually befriending Harry Osborn, a rich kid with an abusive dad. Initially, Harry is jealous that blonde bombshell Gwen Stacy is more interested in Peter, but the two eventually bro it out and become roommates. During this time, it's also revealed that Harry's crazy dad Norman is the Green Goblin, Spidey's chief arch-nemesis. Interestingly, it was around this time that the US Government asked Stan Lee to write a story about the dangers of drugs, as though the perils of super-science pill-popping hadn't existed in sci-fi for decades already. Subsequently, Harry entered a downward spiral into addiction—a shameful secret Spider-Man shared with the Green Goblin in the midst of a battle, stunning Norman into snapping out of his villainous alter ego. The stresses of heroism come to a head in Amazing Spider-Man #50, when Peter Parker literally throws his Spider-duds into an alley trashcan. The suit is quickly discovered by a kid who brings it to newspaper publisher J. Jonah Jameson, Parker's employer and world-class Spider-Man hater. The news of Spidey's departure spreads quickly, as does city-wide crime, while Parker enjoys the life of a regular teenager (and not getting punched in the face every night). By the end of the issue, however, Parker remembers uncle Ben and why he got into heroism in the first place, and returns to duty. Peter has another crisis of conscience and wants to ditch the whole Spider-Man thing again, so he concocts a serum to detox all of the spider-junk out of his genes. 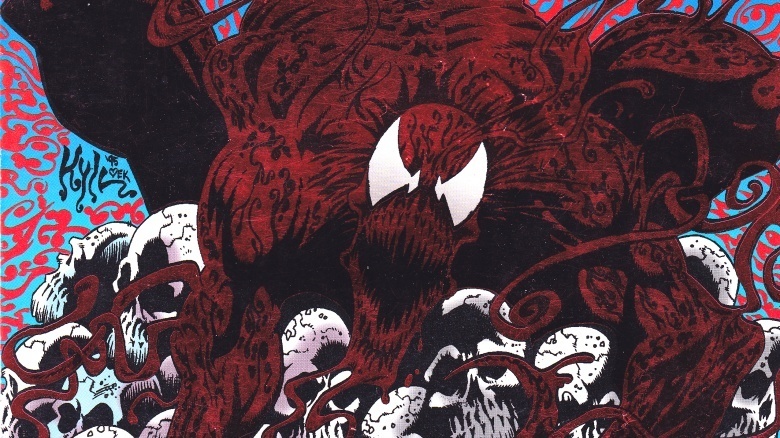 After an issue-long dream sequence battling his greatest foes and feeling like his his sides are about to split open, Parker wakes up with four more arms. He's now even more spidery than before, because let's face it, drinking chemical jambalayas that you whip up in your living room is never a great idea. The Lizard and Morbius duke it out to see who should get to kill Spider-Man, but the Lizard comes to his senses and helps Peter discover a cure to shed those pesky arms before it's too late. Still, gross. Those things had to end up somewhere after they fell off. In Amazing Spider-Man #121, Green Goblin kidnaps Gwen Stacy and sets in motion an event that changes comics forever. During a tussle, Goblin throws Stacy off of the top of a bridge over the Hudson, but her fall is abruptly stopped by Spider-Man, who throws a web line to catch her before she hits the water. 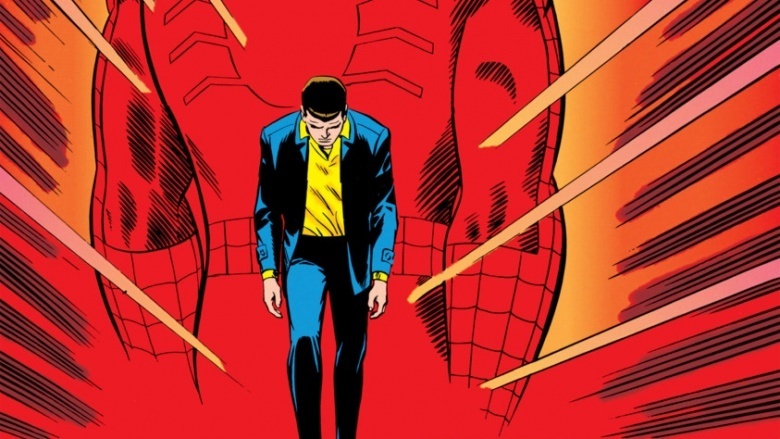 The sudden jolt snaps Gwen's neck and she immediately dies, marking another catastrophic failure in Spider-Man's career and reminding readers that even heroes can fail. 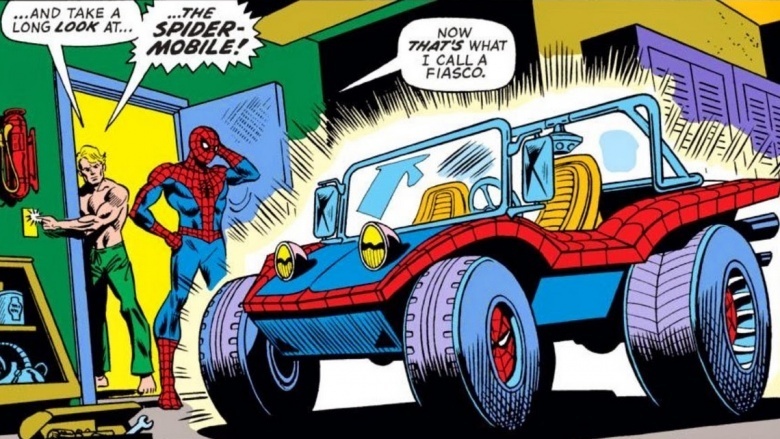 Even Spider-Man hated the Spider-Mobile. Unfortunately, Peter Parker really needed the money in 1974, and Corona Motors offered him a handsome paycheck to drive around town instead of using his trusty weblines. Dude's gotta eat. Spidey was unable to return the car to Corona after Mysterio tricked him into driving it into the Hudson, but really, what did they expect? You don't lend your Six Feet Under box set to a superhero and expect to get it back. Those guys wreck stuff on the reg. During Marvel's Secret Wars event, a bunch of heroes and villains are abducted and sent into a battle arena in space…for the sole purpose of selling action figures. At one point, Spider-Man's costume is torn, and having been kidnapped without his sewing kit, he finds an alien vending machine which splorts out a black version of his costume to replace the damaged duds. He wears the costume for four years, while it's gradually revealed that the suit is actually an alien that enjoys eating brains. Later, part of the alien goop finds Eddie Brock, a disgraced tabloid reporter with a hatred of Peter Parker. They bond, call themselves Venom, and actively seek to destroy Spider-Man, as well as occasionally help innocents along the way. Like Simon and Garfunkel but with slightly pointier teeth, it's a complicated relationship. Spidey's complete disregard for bringing weird space junk back to Earth once again proves disastrous, as another stray part of the Venom symbiote joins with Cletus Kasady, a real cool guy who burnt down his own orphanage as a kid. The resulting creature is called Carnage, and he looks like a grinning mess of blood and guts. 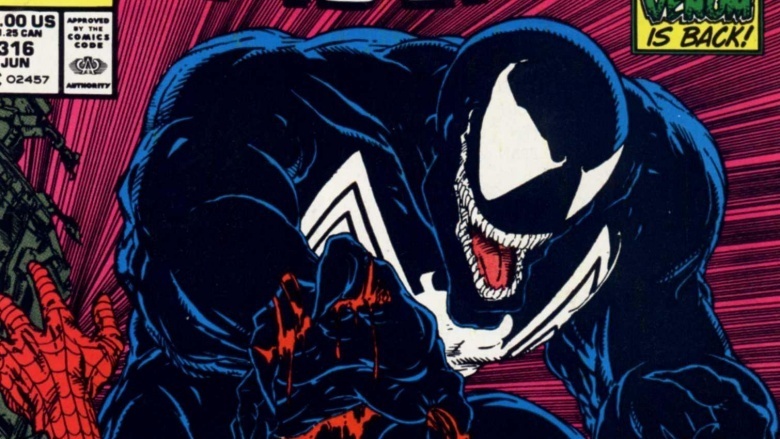 Over time, the symbiote breaks off into even more gross monsters, and like the Duggars, Venom has over a thousand offspring. These include creatively-named villains like Scream, Riot, Agony, and other things emo kids call themselves online. It's not all bad news, though, because some later symbiote babies are good guys, including Anti-Venom and Toxin. Remember that girl Gwen who was killed by supervillain Norman Osborn in 1973? In a fit of retcon madness, Marvel decides that the pair had secret babies together in France. The resulting twins, Gabriel and Sarah, appear out of nowhere in 2004 and attack Spidey after being told that he's their real dad, as well as their mom's killer. 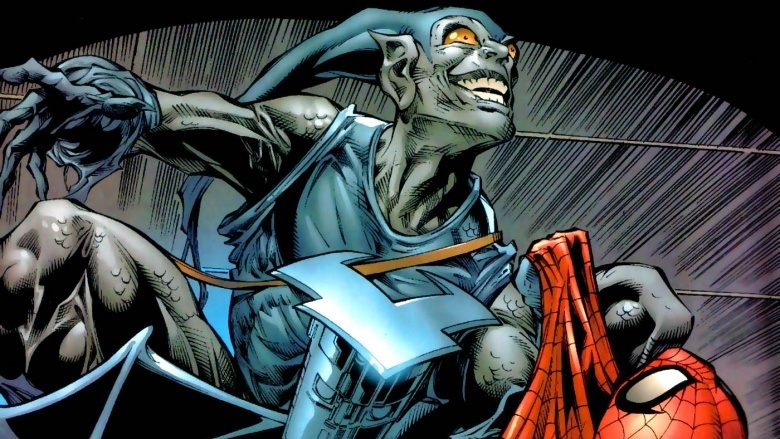 Sarah eventually realizes that Peter's not her dad, but Gabriel becomes the Grey Goblin, and only narrowly avoids death during a fight with Spidey and Sarah. Even author J. Michael Straczynski hated the idea as it was published, and blamed Marvel's editorial board for warping his original idea while pushing it through publication. Peter's dear, decrepit Aunt May is been shot because Peter revealed his superhero identity to the world during Marvel's Civil War crossover event. Though the sequence of events leads straight back to Tony Stark's negligence, Tony refuses to help Aunt May as she lays dying in a cheapo hospital ward. 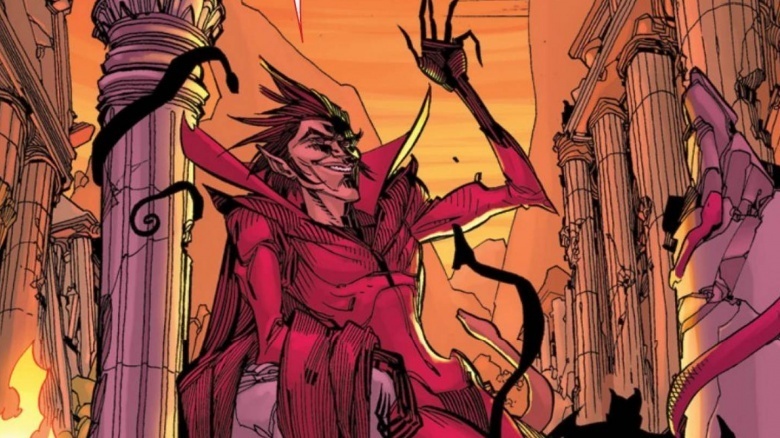 Instead, the all-powerful demon Mephisto shows up, offering to retcon the Marvel Universe as a whole. Aunt May will live and Peter Parker's identity will return to being a secret, but his relationship with his wife, Mary Jane Watson, will be erased from existence, as will their future child. Peter takes the deal, and 45 years worth of relationship progress are wiped out instantly. The Jackal creates a strain of bedbugs which, much like the original jerk spider that gave Peter Parker his powers, give anyone they bite similar spider-powers. And because Manhattan is basically a living infestation, those suckers get everywhere, and everyone gets powers. It takes 10 issues for everyone in New York to gain and lose their Spider-abilities, and less time for people to totally abuse them. It isn't all bad, though: by the end of it all, Spidey kinda starts to get Mary Jane back. 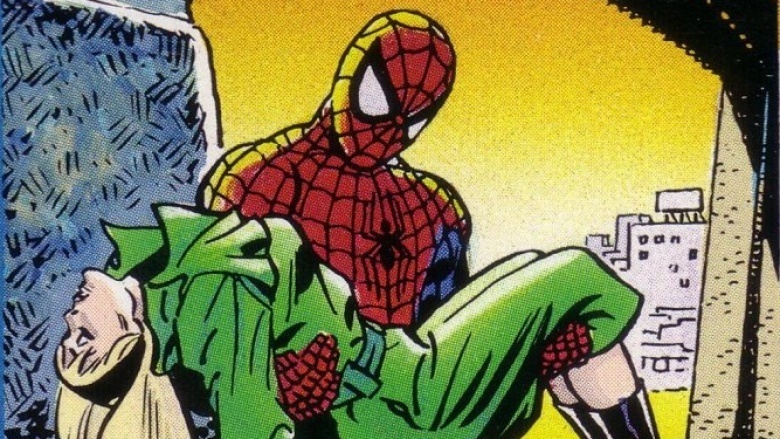 Dying from a pretty bad case of science poisoning, Spidey's arch-nemesis Doctor Octopus transfers his consciousness into Peter Parker's healthy young body, completely burying Peter's own mind and taking over his life. 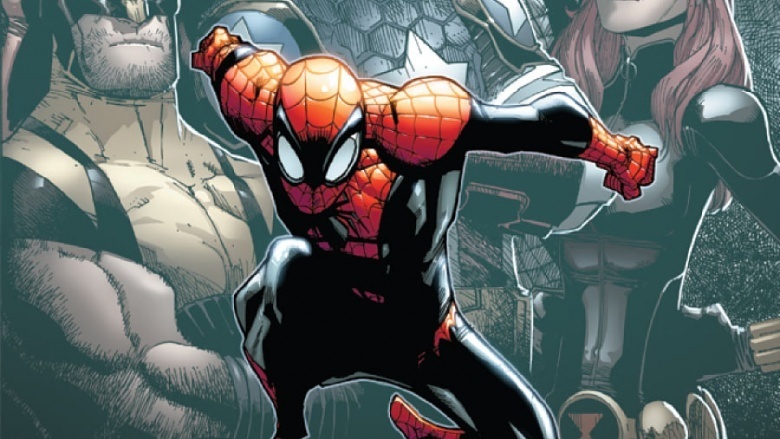 Obsessed with proving he's capable of truly defeating his longtime foe by becoming a superior Spider-Man, Ock sets about taking over where Parker left off—which includes dealing out a pretty ruthless brand of "heroism" that occasionally leaves the bad guys maimed or worse. 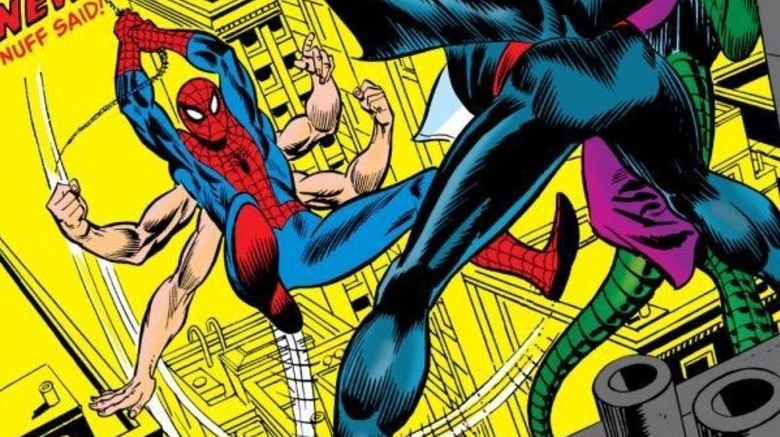 Ock acts as Spider-Man for a full year and a half before Peter's able to regain control of his own body, but by this time, the two enemies and brain-mates have developed a deeper understanding of one another. In another life, the two nerds could have been best friends.